OUR PRICE: $31.45 - Join Rewards Get $1 Dance Dollars On This Item! Dance to His greatness in this asymmetrical hem shimmery lace skirt. 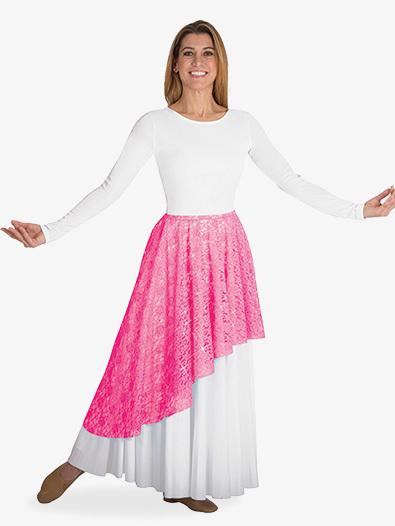 Pair with a jumpsuit or leotard and palazzo pants for a stage-ready performance outfit.